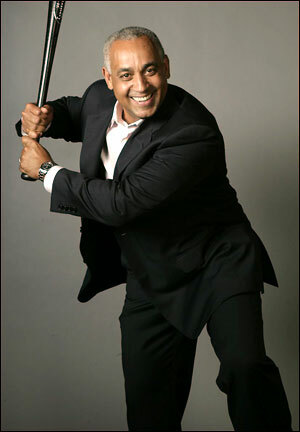 Last week, I posted a bit of sarcasm on my Facebook page in response to the news of Omar Minaya’s new job in San Diego. I’ve never been a huge fan of Minaya, stemming from his not-so-magical run as GM of “Los Mets” (we all know how his run ended). Granted, he wasn’t hired by the Padres as a GM, but to see him back on the job makes me feel a little bad for San Diego. 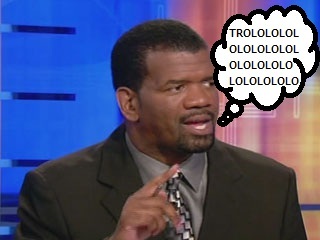 A friend of mine commented on my link and suggested that Omar “drafted okay” in terms of his performance as Mets GM. That sparked an interesting debate on Omar’s drafting performance based on his ‘Top Picks’ in each of his years as GM. In the end, we realized that both view ‘drafting success’ a bit differently. This morning, my friend put up an in-depth post over at Mack’s Mets, analyzing Minaya’s “Top 30 Picks” over his years as Mets GM. Now that the focus of the debate has shifted to his “Top 30 Picks”, my opinion on the subject of Minaya’s drafting performance changed, but not drastically. I come from the “what have you done for me lately” school of thought, and in my mind, Minaya’s drafting performance has produced, count it, two well-performing major leaguers in Jon Neise and Ike Davis. I could add Dillon Gee to that list, but he’s not a Top 30 Pick, so lets see how he adds on to his eye-opening 2011 performance in the upcoming season. You can read my full opinion in my friend’s writeup. So I raise the question to my readers: How do you define “Draft Performance”? A few months back, I wrote a little piece on the bias of a certain ESPN writer on the way Jose Reyes finished his 2011 season. Today, I’ve come across another one of Rob Parker’s gems, this time suggesting that Mets fans should blame Mets ownership and the front office for the departure of Jose Reyes and his signing with the Miami Marlins. You did get one thing right, though, Rob. I don’t blame Jose Reyes. But I don’t blame Mets ownership and the front office, either. Instead, I blame the Players Union, Owners (collectively), and Bud Selig. Why? Simple. Have you seen the absurd contracts players are signing in this ‘so-called’ recession? $106 Million for 6 years? Who deserves that? Did he find a cure for cancer or something? Did he stop a world war? Did he invent something revolutionary? So no, I don’t blame Mets ownership and the front office for Reyes signing a contract he would have never received from the Mets. I blame the union, owners, and Selig for letting contracts get so incredibly out of hand, that the Mets ‘forcibly’ had no chance at re-signing Jose Reyes. But I digress… I’m going to enjoy disecting this one! Shall we? And your entire write-up lost all credibility right there. Kaput. Gone with the wind. Would you have taken a chance on Reyes as a GM when he was just coming off of an injury… twice? There’s so much risk associated with Reyes that it didn’t seem worth it for owners to want to make a move for him. Try again. See previous response. Best package available? You’re joking, right? He just comes off of an injury, and you think teams are going to give the Mets a great offer? Better yet, you think the Mets should’ve just traded him for anything? This isn’t MLB2KWhatever, Rob. You can’t turn your ‘trade settings’ off. Care to enlighten me on this theory of not dealing ‘high stock’ players before it’s too late? And this will hurt? On the contrary. This one will counter the $70 million the team lost this past year, and make player-based decisions a little easier on the financial front. If you think this Mets fan is ‘hurt’ by Reyes signing with the “I love buying championships and disbanding” Marlins, then you’re severely out-of-touch with the fanbase you grew up so close to. Once again, you’ve proven to know nothing about the fanbase. None of your Mets-related writeups make any sense, have any solid points, and read as if the point is to mindlessly bash the Mets. Bravo, Rob.